I love my alma mater, but I’m not crazy about having bright yellow and black in my basically all-white place. So, I took a more subtle approach to showing my school spirit. 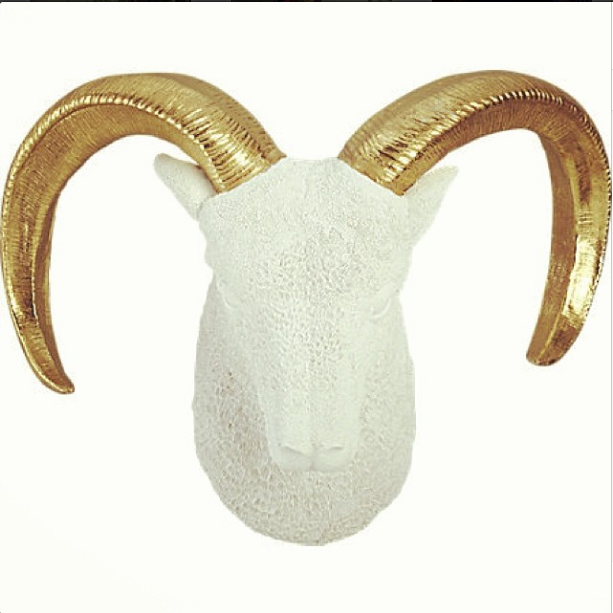 The first piece I got was this ram head from Target’s Nate Berkus collection. 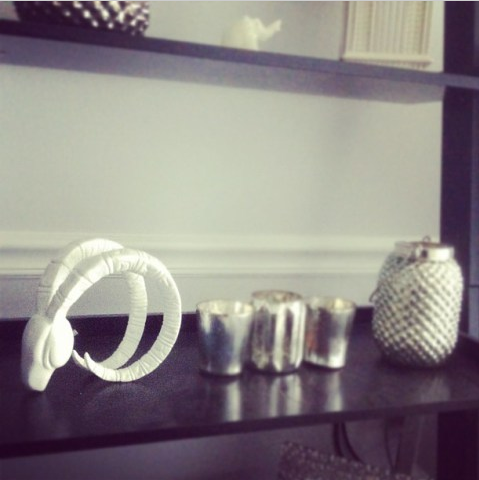 I kept coming across awesome ram sculptures online like this one (that fell of the wall, RIP) from younghouselove. 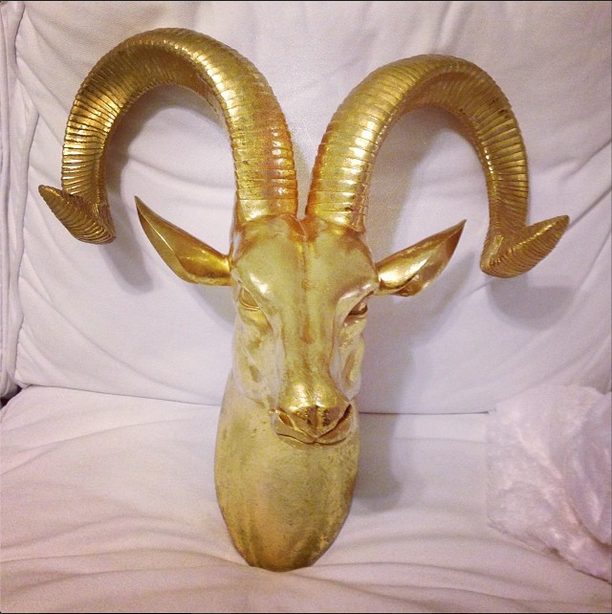 Then, I found this awesome gold one at Homegoods.